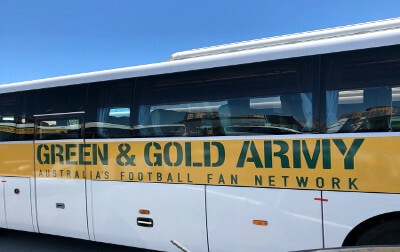 While our focus on tour is football and maximising the experience of supporting the Matildas/Socceroos at major international football events, we also provide tour guests a selection of day tours that enable an experience to uncover the sights and culture of our destination. We research and plan these experiences ensuring that day tours activity are memorable and of a high quality. Our 2019 France tour will be no different and we are excited about all of the tourism activities we have organised which are detailed here. Please note that on our tour program we attend matches within the tour schedule and these are detailed in our tour itinerary. However, there are other matches that guests have the option of attending. These optional matches are included in the day tour program. On non-match days we provide a selection of tourism activities that tour guests can pre-book and enjoy experiencing them with selected expert guides and other tour guests. These tours are an additional cost. Full descriptions of each Day Tour can be found by scrolling down this page to the Day Tours Descriptions section. At some day tours you will see a section titled ‘Tour Summary’. Where you see this, please click on the ‘Tour Summary’ section to expand out detailed tour information. Once you have selected your tours, the Booking Portal will ask you to enter the names of each attendee for each separate tour. For example, if there are 4 people in your group doing the Paris Classic Walking Tour, you will need to enter the names of all four attendees for this tour. Payments for Transfers & Day Tours can only be made through the Booking Portal, with payment by debit or credit card. Bank transfers are not available. We’re thrilled to offer you a wide selection of unique tours to experience during your tour! This afternoon-evening tour combines secret sights and gourmet treats, giving you one epic adventure. Sample a mouth-watering macaron, a delicious French speciality, explore a lively Parisian market to indulge in one of France’s most popular gastronomic pleasures: cheese tasting! Learn the baking art of the French baguette, pastries and delicious meringue-based merveilleux. We’ll enter a fabulous chocolate store to taste a butter-filled pastry, called Kouign Amann, a specialty from Brittany. We will end at local wine bar, where we’ll get a professional wine tasting. We’ll sample some iconic French liqueurs like Cognac and Armagnac or “Old Plum” brandy. To accompany our drinks, we’ll also taste some delicious French cheese or charcuterie treats. This guided tour is for tastebuds only. Oh and we will have dinner too! 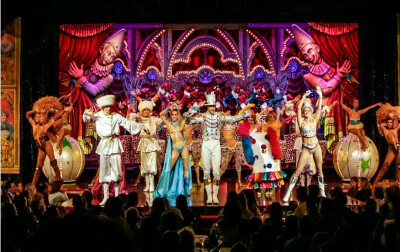 Since its creation in 1889, the Moulin Rouge has endeavoured to develop a performance concept, a distinctive imagery and a singular universe that are today recognised worldwide, ensuring its success both in France and abroad. No trip to Paris is complete without experiencing the Feerie Show. Join this guided tour to the Moulin Rouge and be dazzled by this everlasting cultural institution – includes half bottle of champagne. 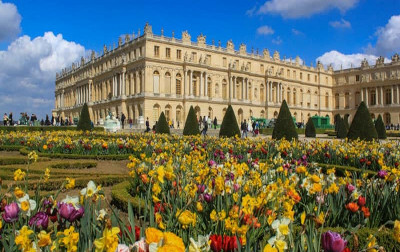 Enjoy the splendour and tragedy of the most famous and largest royal residence in the world, Versailles, one of the most beautiful achievements of 18th-century French art that stayed the symbol of absolute monarchy for more than a century. The construction and expansion of the Chateau de Versailles that lasted for over a 50 year period began as Louis XIII ‘s hunting lodge before his son Louis XIV (the famous Sun King) transformed and expanded it, moving the court and government of France to Versailles, using the chateau to demonstrate its political, economic, military and artistic success. We will visit the Palace and many of its spectacular features, rooms and gardens including a scrumptious lunch. Disneyland, where magic gets real. 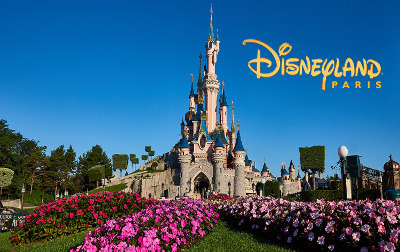 Often referred to the happiest place on earth an opportunity exits to spend the day at Disneyland Paris. This tour includes a guided transfer (via train) and entrance tickets. Père la Chaise makes for an odd attraction but is certainly worth a look in during our stay in Paris. This evening tour will visit the graves of Oscar Wilde, Chopin, Edith Piaf, Jim Morrison, Abelard & Heloise, Marcel Proust, Moliere, Isadora Duncan and many more. 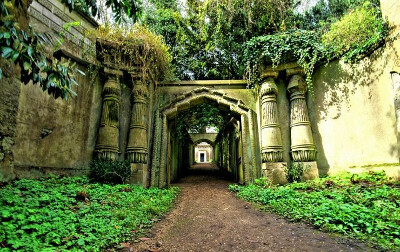 Unlock the breathtaking and sometimes spooky stories of the world’s largest cemetery and park. 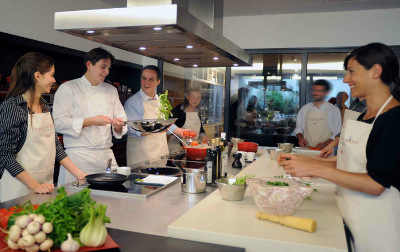 The Alain Ducasse Cooking School is a contemporary 500 m² space located on rue du Ranelagh in the heart of Paris’s 16th arrondissement, opening its doors to the general public as if into a home. Thought as a living space, each room has been designed to make everyone feel at home. The school mixes elegant and warm common areas with kitchens of concentrated efficiency and user-friendliness. Learn the basics to French cooking & enjoy your creations. Discover a treasure chest of modern and contemporary art following your guide through the chronological and thematically arranged complex. Marvel at art from the early 20th century to the present day, learning about abstract art and how to place it in its proper context to appreciate it more. Principal art pieces included on the tour are “Il Ritorno di Ulisse” (“Ulysses’ Return”) by Chirico, “La Ville No. 2” by the Orphism artist Robert Delaunay, and “Rose Sélavy” by Duchamp. Admire Otto Dix’s challenging “Portrait of a Journalist Sylvia von Harden,” and Max Ernst’s collage “Ubu Imperateur.” Your guide will explain the meanings of Picasso’s “Femme nue Couchée,” and the abstract expressionist art of Jackson Pollock. Marvel at Klein’s “Grande Anthropagie Bleue,” and Tingerly’s “Requiem for a Dead Leaf.” Other highlights covered are Warhol’s “Big Electric Chair,” and the “Black Square” by Kazimir Malevitch. 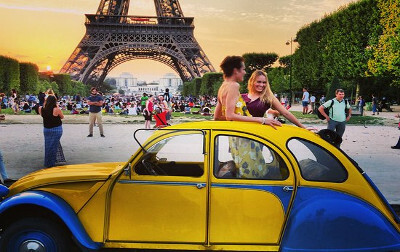 For something a little different and classically French, there is no better way to take in all the Paris landmarks than by Citroën 2CV, a vintage car that dates back to the 1940s. Each 2CV can carry three people. Guests have the flexibility to tell your driver what you’d like to see and when you’d like to stop. Take in the Champs-Elysees, Arch de Triumph, Eiffel Tower, Grand Palais, Petit Palais, Le Madeleine church, Olympia Hall, Opera Garnier, Place Vendome & much, much more. 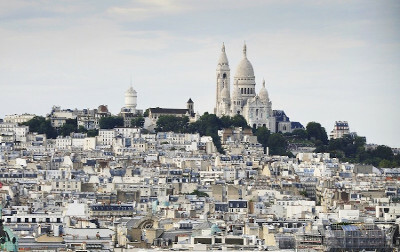 Montmartre typifies all things quintessentially Parisian, from terrace cafes to romping bars and clubs, drunken can-can dancers to budding street artists and performers, bourgeois-bohemian apartments to tiny cobblestone streets. Your walking tour guide will take you to sites like the infamous Moulin Rouge, Paris’s last surviving windmill and vineyard, and to the stunning Sacre Coeur, with its incredible views over Paris. A fantastic day meandering through a spectacular part of Paris with plenty of stops to soak in the Parisian lifestyle. 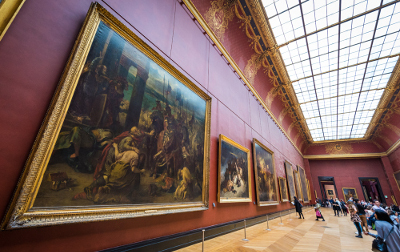 This comprehensive tour is an introduction to the diversity and richness of the Louvre. Together with your art historian guide explore the highlights of the Louvre’s Ancient Near East, Greek and Roman, and Renaissance Italian collections. Also learn about the fascinating architectural history of the Louvre’s pre-museum life as a royal palace. You’ll see the most celebrated of all the Louvre’s treasures—the Khorsabad Palace, the Venus de Milo, Nike of Samothrace, Leonardo’s Mona Lisa, Michelangelo’s Slaves—but your guide will also take the time to see other carefully selected works, vividly conveying their details and historical context. This is really a bucket list item for Paris. It is one of our favourite activities. You will discover the full splendour of a panoramic view aboard an all-glass boat. Enjoy refined cuisine and discrete, attentive service to the sound of live musical entertainment. 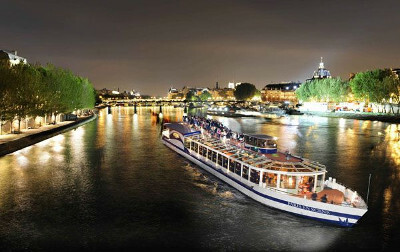 Nothing beats a summer evening cruising the River Seine watching the legendary Paris monuments pass by. 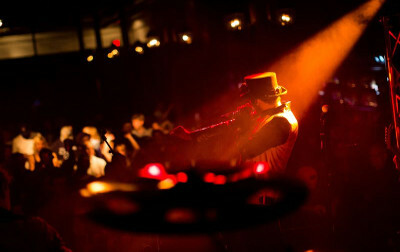 Paris has swung to the rhythms of jazz for nigh on a century. With legends Bud Powell, Chet Baker and Miles Davis woven deep in its history, and pioneers Django Reinhardt and Stéphane Grappelli providing the backdrop to its cafe society, jazz is as much a part of the capital’s cultural heritage as art, philosophy and literature. Join our guide and take in an evening of Jazz and Swing dancing. Experience the works of Monet, Degas, Courbet, and other impressionists who shocked the art world and propelled the popularity of French painting. This 3-hour Musée d’Orsay tour examines the rich 19th- and early 20th-century collections of this world-class museum. An art historian will dive into one of the best collections of Impressionist art in the world and you will learn about the major art movements of the period—from the Barbizon school and Realism, to Impressionism—as well as their most celebrated players, including Monet, Degas, and Courbet. 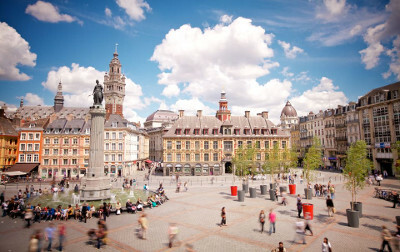 Lille a spectacular and historical city is compact and allows for a fascinating walking tour to and from our hotel base. Visit Place de Charles de Gaulle, Opera de Lille, Notre Dame de la Treille, Place aux Oignons, Citadelle de Lille, Porte de Paris and much, much more. 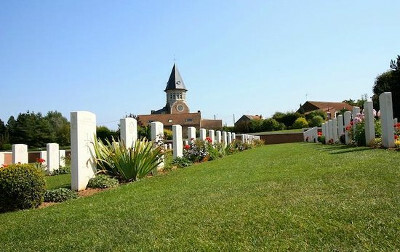 Travel to Belgium and the Ypres Salient and see WW1 battlefield, including Fromelles (Pheasant Wood) Cemetery, Fromelles Museum, The ‘Cobbers’ Memorial and VC Corner, Ploegsteert Wood and the Christmas truce site, Messines Ridge, Hill 60, The Menin Road, Polygon Wood, and Tyne Cot. We will then have free time in Ypres to explore this magnificent city and enjoy a meal before attending the Last Post ceremony at the Menin Gate. This tour includes special Australian content and is expertly guided. Get to know the famous Place de la Comédie, the buzzing heart of the city, the beautiful Hôtels Particuliers, winding medieval backroads and the picturesque cathedral. Stroll streets past historical buildings while sampling local specialties, meeting merchants and getting historical and cultural tips along the way. Learn about the culinary delights of Provence such as olive oil, pastry, cheese, wine and other fine food items. You will step back in time and discover the heritage of the Languedoc-Roussillon region through some wine and food tastings at 18th century Château de Flaugergues – an elegant mansion-style house with collections of Flemish tapestries, an enormous carved staircase and an award-winning restaurant. Stroll the streets of Sète along the canals of the “Venice” of France, past historical buildings while sampling food items, viewing boats in the harbour, meeting merchants, and getting historical and cultural tips. 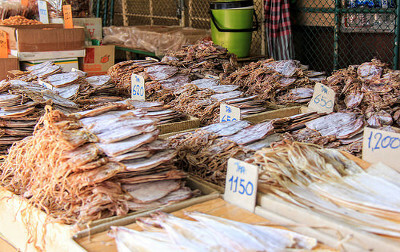 See an authentic seafood market with the best fish, seafood, and local produce from the region. The outdoor market, one of the finest in the region, offers abundant scents and flavors of southern France. Continue on to Bouzigues where you can feast of oysters, mussels and other marine delights. The village occupies the waters of the shimmering Étang de Thau lagoon, while vineyards criss-cross the hillsides above town. Travel through the picturesque Camargue a hauntingly beautiful part of Provence roamed by black bulls, white horses, movie-style cowboys and pink flamingos. Visit the medieval city of Aigues-Mortes, the gypsy town of Saintes-Maries-de-la-Mer, the La Capelière Nature Reserve and the Salin de Badon Salt pans. Have lunch at award winning La Chassagnette restaurant set in a stunning kitchen garden, the top gastronomy choice in Camargue. 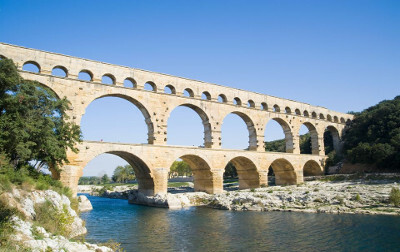 Continue through lavender fields and ancient olive groves of Provence to the ancient Roman town of Nîmes. Here, you’ll visit Nîmes’ twin-tiered Les Arènes amphitheatre, the best preserved in France and tour the magnificent 2,000-year old Roman temple Maison Carrée. 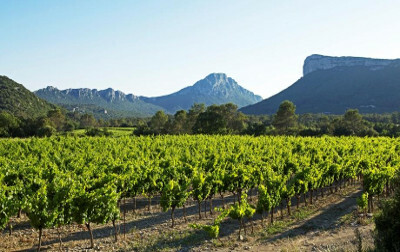 Discover fine wines around Pic Saint-Loup on this full-day Languedoc winery tour from Montpellier. Delve into the Languedoc’s Pic Saint-Loup region and admire fine views over the rolling vineyards. Visit wineries with your guide and learn of the diverse wines produced there. Explore the cellars and barrel rooms, and learn of the winemaking process from vine to glass. Sample the various wines in production during a tasting workshop and enjoy personal attention from your guide on tour – includes gourmet lunch. Our guide will walk you through the streets of Aix-en-Provence to discover the food markets, the Cathedral of the Holy Saviour, Saint Jean de Malte church, situated by the museum Granet, previously the Art School where Paul Cezanne was student. The streets in the Quartier Mazarin and the great Hotels Particuliers built on the XVII and XVIII. We will enjoy coffee, as the locals do, on the great avenue Cours Mirabeau and much more. 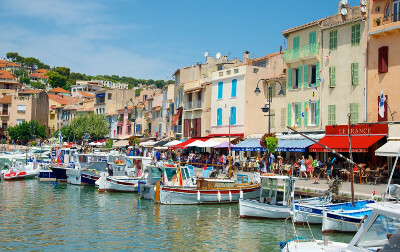 The portside town of Cassis is located around an hour south of Aix-en-Provence. 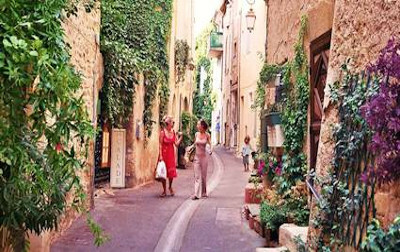 It’s often touted as one of the must-see villages in Provence due to its bustling quai, blissful beaches, and stunning natural scenery. Spend the morning browsing the boutiques and having a leisurely lunch next to the water before our guide walks us along the harbour walls for the best views of the pastel-hued village – includes boat tour & gourmet lunch. Arles’ Saturday market is a must-see – it’s Provence’s best. 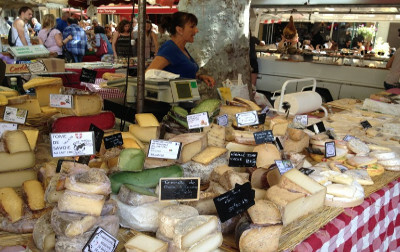 With 450 stalls you’ll find cheeses, flowers, spices, meat and fish, honey, olive oil, saucisson d’Arles, Camargue rice, cockles and even clothes and crafts. 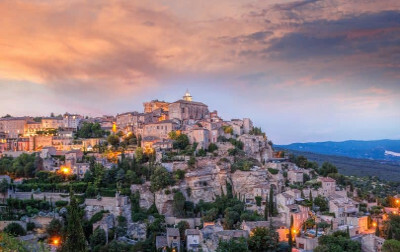 In Arles, tour the Les Arènes Roman amphitheatre, Vincent van Gogh house and travel through the scenic Alpilles region to the picturesque medieval hilltop village of Les Baux-de-Provence. See Nostradamus’ birthplace at boutique town of St-Rémy-de-Provence. 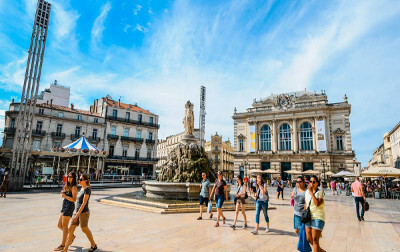 Built from honey-coloured stone, and centred on a lovely, plane-shaded square lined by cafes, St-Rémy is a favourite summer haunt of the jet-set – includes gourmet lunch. The Luberon valley is home to Gorden and Roussillon – the most stunning villages in Provence. Hilltop havens overlook a lush green landscape, lavender fields, olive trees litter cobbled lanes with their dark juicy fruit, and Cypress trees punctuate the terracotta rooftops. 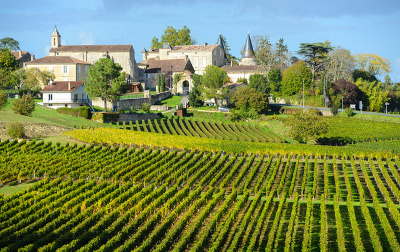 Our guide will ensure you savour the sights, scents, and simplistic joie de vivre this region is famous for. 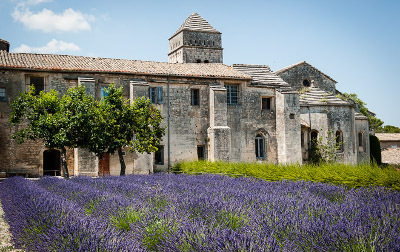 The tour will also visit the Lavender Museum and Avignon – which is famous for its medieval monuments, historical town centre, Palais des Papes and the Pont d’Avignon bridge – includes gourmet lunch. Grenoble has one of the prettiest backdrops of any city in France. Nestled in the Isère Valley and surrounded by inspiring mountain peaks of the French Alps, Grenoble offers a breath of fresh air-both literally and figuratively. Beautiful gardens and green spaces are found throughout this industrial town, revealing a true appreciation of the outdoors. Begin exploring the town in the Vieille Ville, the charming historic centre filled with cobblestone streets and picturesque squares before taking in the Fort de la Bastille. Expertly guided to ensure we see all the highlights. Take a train to Chambéry and explore it’s medieval Old Town. Visit hidden courtyards, murals and well-preserved 14th to 18th-century town houses and boutique-dotted rue de la Métropole. View Chambery château’s massive walls and continue on to Annecy. Nestled by the north-western shore of its namesake lake, Annecy is the jewel of the Haute-Savoie. From its crowning Château d’Annecy down to its gurgling canals, Annecy’s Vieille Ville (Old Town) is infused with antique charm. Annecy still has numerous 16th- and 17th-century buildings, now painted in shades of peach and rose and housing restaurants, bakeries and boutiques. 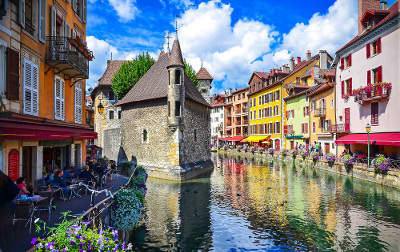 Canals trickle through town, earning Annecy its reputation as an ‘Alpine Venice’ – includes boat tour & gourmet lunch. Grenoble’s impressive number of museums speaks to the rich heritage of this city-formerly the capital of the historic Dauphiné region. 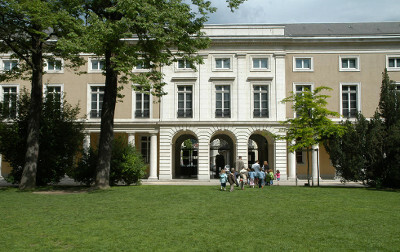 The Musée de Grenoble boasts one of best collections of fine arts in France; other museums are devoted to archaeology, history, and local culture. This tour takes in the best three the city has to offer, Musee de Grenoble, Musee Archeologique Grenoble-Saint Laurent and Musee Dauphinois. In the morning we visit Chateau de Vizille. 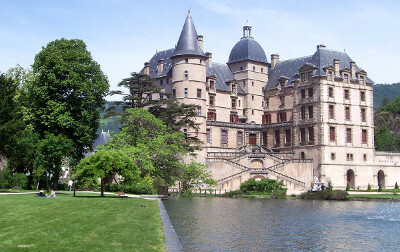 The château was constructed between 1611 and 1627 by a nobleman who was a leading Protestant. However, he renounced his faith in 1662 to gain the title of Connétable. The château features a flight of steps leading down to the Renaissance-style park. In 1788, the Estates of the Dauphiné held a meeting here, which laid the foundations of the French Revolution, outlining a demand for the personal freedom of all Frenchmen. The château now houses the Musée de la Révolution Française (Museum of the French Revolution). 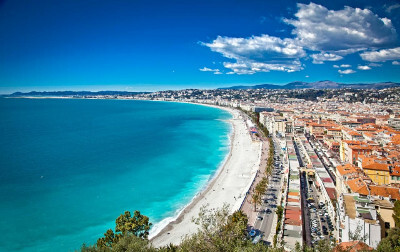 Step back in time, and learn about Nice’s fascinating history on this Nice cultural walking tour. As always you save time researching and planning your trip, as this itinerary includes multiple city highlights. You’ll visit Old Town hotspots, and climb up to the top of Castle Hill. As you tour the city, your experience will be enhanced with interesting commentary and historical information from our expert guide. 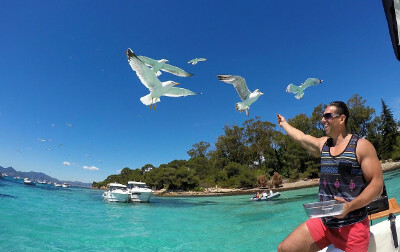 Enjoy a full day boat trip to the tranquil emerald Lerin Island retreats of Île Sainte-Marguerite and Île Saint-Honorat a scenic 1 hour cruise from Nice. Along with unspoiled nature and hidden beaches, you can also sample fine wines grown and vinified by Cistercian monks — the islands’ only inhabitants. Visitors can tuck into a gourmet Mediterranean picnic lunch onboard before exploring an ancient fortress and still make it back to Nice for cocktail hour. The largest, Île Sainte-Marguerite, harbors hidden coves, tidal pools and beaches and is crisscrossed by a network of well-marked walking trails. Here, you can visit the fortress which was used as a prison and the most famous prisoner here was no doubt the Masque de Fer, the Iron mask. Just over 1km long and 700 metres wide, tiny Île Saint-Honorat is home to the Abbaye de Lérins, where 20 Cistercian brothers live a life of solitude tending acres of vineyards from which they make award-winning wines. The abbey used to be fortified and a quite impressive tower still exists. For divers and snorkelers, the waters around and between the islands are a marine paradise, home to scores of protected species under sunny skies. (The islands are said to average 300 days of sun a year). Neither island allows cars or bikes and there are no hotels on the islands. 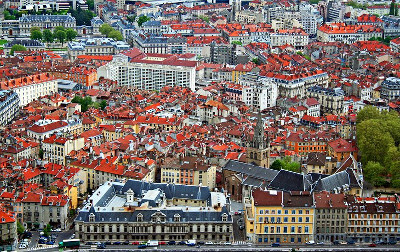 World-renowned for its culture and cuisine, Lyon is a city rich in history and home to both Roman theatres and Renaissance architecture. 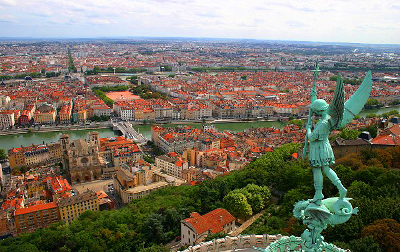 This action-packed tour presents Lyon through the ages and invites you to discover the city’s top monuments from the imposing Fourvière Basilica overlooking the city to the historic heart of Lyon. Exploring the Fourvière, the Vieux Lyon to the Presqu’île, this tour is the perfect introduction to the former capital of France. 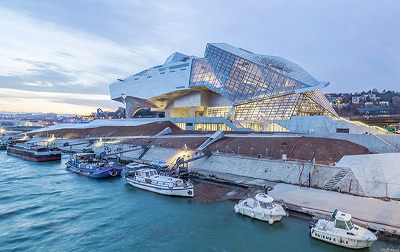 From Renaissance style architecture and secret passages known as traboules to iconic streets and restaurants, this experience offers a glimpse of how Lyon became the city it is today. Discover gastronomic delights with our gourmet food tour in Lyon, France’s food capital. 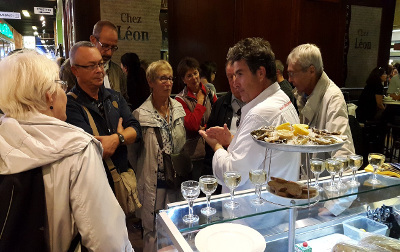 Visit the famous Halles de Lyon-Paul Bocuse and enjoy wine tasting sessions. We visit the Halles Paul Bocuse located in the modern Part-Dieu neighbourhood. This centre of Lyon gastronomy brings together the leading products of the region. Cold meats, cheese, quenelles, chocolate, wines, and more, the selection of products to be tasted vary according to the season. But, every visit ensures gourmet pleasure! 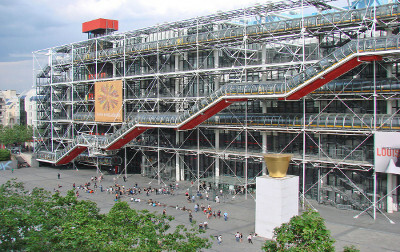 This huge metal structure opens it arms to visitors and reveals its treasures as they move within it. Full of curiosities and surprises, the museum reveals and shares knowledge of the great story of humankind. Its four permanent exhibitions (Origines, Espèces, Sociétés, Eternités – Origins, Species, Societies, Eternities) form bridges and open spaces for reflection, at the confluence of various forms of knowledge and disciplines. Structured around the museum’s four representative works, the visit throws new light on the collections and objects presented, and their relationship with the history of the town of Lyon. Famous for its ‘young’ wine, Beaujolais Nouveau, there are many more varieties to discover in the Beaujolais region. The area is particularly beautiful. The south of the region is famous for its gold stone villages, known as ‘Beaujolais des pierres dorées’ and sometimes referred to as ‘little Tuscany’. Hop on, relax, taste the wine from numerous wineries and enjoy the scenery. 8th century – includes gourmet lunch.